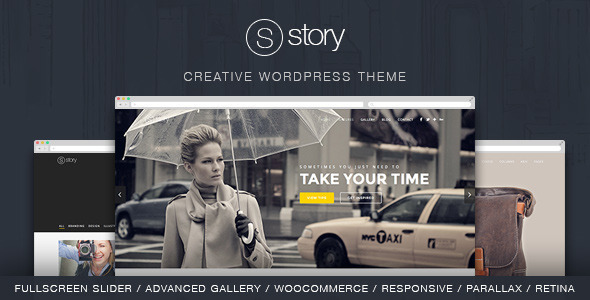 Story 1.2.0 newest version : Released on July 5th, 2014. You can set the layout type per slide and mix all the different layouts into one page slider. The slider also supports deeplinking, so you can link to a specific slide. The theme includes options to change all the main theme colors, such as header, main content, sidebar and footer background and text colors, so you can easily build your custom skin with your favorite colors. All the color settings are included in the Theme Customizer section, so that you can live preview the color changing.